This is a special year for me to create a chronology for. This was the year that my team and I (Indiana Unit No. 1) were authorized by NICAP as an official Subcommittee, on November 17, 1960. 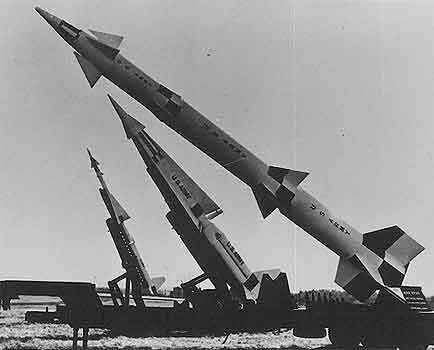 Three days prior to this there was a UFO incident at a NIKE missile base just near Indiana/Ohio border. This incident was not listed, explained or unexplained, in the BB listings for Nov. 1960. This is the 1960 chronology, but has links to a 50-page summary, and the FULL 219-page, Brookings Institute Report. A lot of the incidents themselves do not have active links as yet. Blue Book microfilms are only processed to mid-1952, so it will be some time before we can accomplish that goal. However, this is a comprehensive list for 1960 and will also suffice as a good work and checklist for our team. With the help of Rebecca Wise (Project Blue Book Archive), and Dan Wilson (archive researcher), the task becomes much easier. But without Brad Sparks' updated list, the Comprehensive Catalog of Project Blue Book Unknowns, the entire project would have been impossible. And our thanks also go to Jean Waskiewicz who created the online NICAP DBase (NSID) that helped make it possible to link from the cases to the reports themselves. 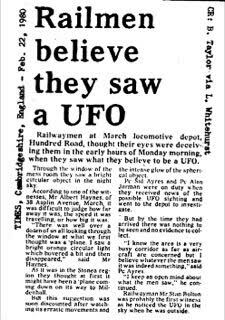 "UFOE" is the NICAP publication, The UFO Evidence (Richard Hall, 1964). Cat. 3 incidents are E-M cases. Cat. 3. Car lights dimmed as UFO descended toward field, apparently about a mile off highway. State Police encounter with highly maneuverable elliptical object, red light beams swept ground (NICAP UFOE, V). May 18, 1960; Wellington, N.Z. Pilot saw a brilliant pale yellow oblong object with a short trail flying. 8:30 p.m. T. L. Ochs saw a round, bright red light fly overhead, stop and hover, and then back up. Ochs reported similar sightings on 3 following nights [July 20 and 21 plus ?]. Policy letter to Commanders, from office of Secretary of Air Force: The USAF maintains a "continuous surveillance of the atmosphere near Earth for unidentified flying objects -- UFOs." Mystery satellite seen for several days, photographed by Grumman Aircraft Corporation. OSI document says crash reported and mention of "Moon Dust", asks ATIC to come to the scene. Major Donald E. Keyhoe, USMC, ret., (NICAP Director) debated Lt. Colonel Lawrence J. Tacker (Air Force UFO spokesman) on Dave Garroway's "Today" program.